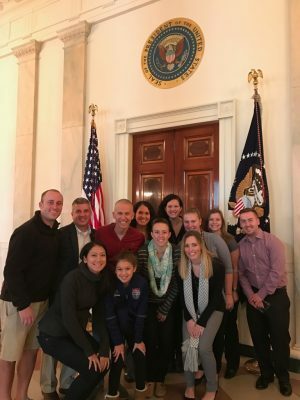 Thursday October 27th through Sunday October 30th a group of KSI staff traveled to Washington D.C. to present at the American Medical Athletic Association’s 25th Annual Sports Medicine Symposium and worked in the medical tent at the 42nd Marine Corps Marathon (MCM). 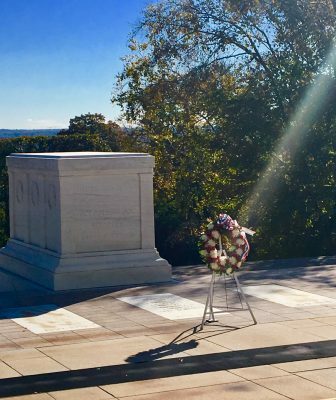 While in D.C., the KSI staff got to explore the city, tour the White House, enjoy some of the museums on Constitution Avenue, visit Arlington National Cemetery and view the changing of the guards. 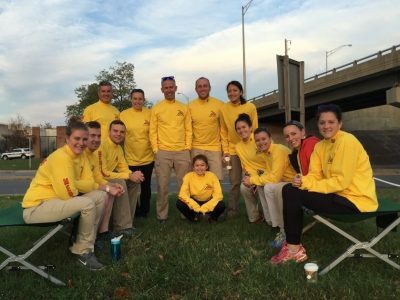 We had a great showing at the American Medical Athletic Association 25th Annual Sports Medicine Symposium at the Marine Corps Marathon at Georgetown University Friday October 28th. Brendon McDermott Ph.D., ATC, alumnus of University Connecticut and also one of KSI’s medical and science advisory board member, and his colleague, Cory Butts M.S., traveled from University of Arkansas and presented Muscle Damage and Renal Function in Athletes with Physiological and Environmental Stress. From KSI, Luke Belval, M.S., ATC, CSCS, presented Changing Guidelines on Exertional Heat Stroke Care: Point of Care to Transport to the ER, and Douglas Casa Ph.D. presented Policy Changes Save Lives in all Levels of Sport: New Evidence and Successes. All three of these presentations helped to illustrate the important role of athletic trainers and medical staff at races, and show successes that KSI has had in treating exrtional heat strokes and changing policies to reduce the prevalence of sudden death in sport. 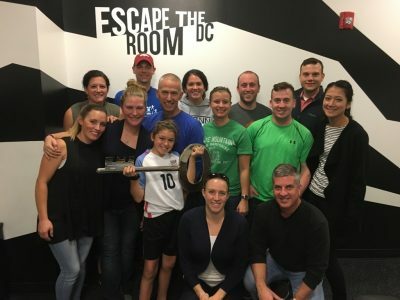 On Saturday, the staff had a “play day” in D.C. that consisted of visiting museums and playing Escape the Room D.C. Both KSI teams escaped (photo below) with the better team just beating the losing team by a few minutes! On Sunday the real fun began. The staff was up bright and early to make it to Aid Station #9 at mile marker 21 of the MCM! We evaluated and treated several athletes who were experiencing exercise associated muscle cramps and dehydration. Our Medical Advisor, Dr. John Jardine also played a critical role in treating exertional heat stroke patients. The annual trip to D.C./MCM is a great way for the staff to learn, use their expertise, and bond.